Official description: From the coast of California comes Mind Haze, a free-spirited beer made to elevate your perceptions—juicy yet balanced, hazy yet lasting, and loaded with an imaginative array of tropical hop flavors. Malts: 2-Row, White Wheat, Torrified Wheat, Munich, Golden Naked Oats. Kettle Hops: Cashmere, Mandarina. Dry Hops: El Dorado, Idaho 7, Azacca, Mosaic, Cashmere. 6.2% ABV, 40 IBUs. 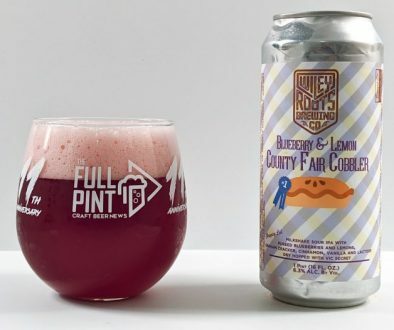 Several of our beloved regional breweries have taken a stab at hazy IPA, a style previously found almost exclusively in small batch, brewery-only can releases. I reviewed Sierra Nevada’s Hazy Little Thing last year as well as New Belgium’s Juicy Haze. With a bit smaller distribution footprint, I sampled Modern Times’s hazy rendition of Orderville as well as Coronado’s North Island IPA. And that about exhausts my experience with widely-distributed hazy IPA. 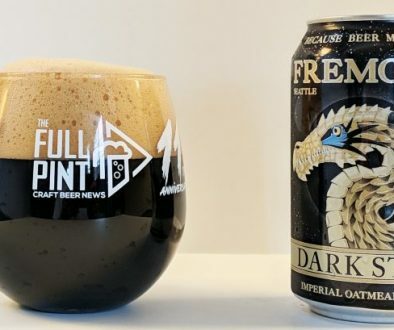 Firestone Walker released Mind Haze at the end of 2018, but it’s not really until now that I’m seeing this beer pop up on store shelves. Let’s see how this one compares. My can has an easy to read canned-on date on the bottom of 12/27/18, which puts this about 1 month old – well within the beer’s freshness window. Into the glass, Mind Haze is a slightly murky, bright golden color that produces a sizeable head of pillowy white foam. The aroma is immediately different from what I expecting. At first, there is volatile dish soap-like note. Once this dissipates, there’s a novel mix of green mango, underripe tangerine, and unripe guava. It’s a bright, Springtime aroma. In the background, white bread and touches of vanilla peek through. Flavor-wise, this is comparatively dry and “green” when put into the context of most other hazy IPAs, which are sweet and loaded with stinky, overripe fruit flavors. Mind Haze is sharper and more refreshing with a lighter mouthfeel thanks to minimal sugar. Flashes of pineapple juice intermix with omnipresent green mango, which brings a touch of acidity and fruit skin bitterness. In hazy IPA fashion, bitterness is dialed down considerably to a 2/10 level. Sugar, which is usually extremely high for this style, is also sitting at a 2/10. That gives Mind Haze a relatively clean and crisp disposition for this subcategory. It doesn’t get bogged down with heavy chalk in the mouthfeel and doesn’t have an unfinished, underattenuated character that’s common for this style. There’s perhaps a touch of minerality in the mid-palate and even a hint of acidity that builds in the finish over time. Though this recipe includes both wheat and oats, neither seem obvious to me. I usually look for some creaminess from the wheat addition and silky mouthfeel from the oats. Mind Haze is too straightforward with a sharpness and zing to the flavor that speeds headlong into a lactic, sourdough-like finale. My overall impression is that this is outstandingly refreshing and just pure joy to drink. 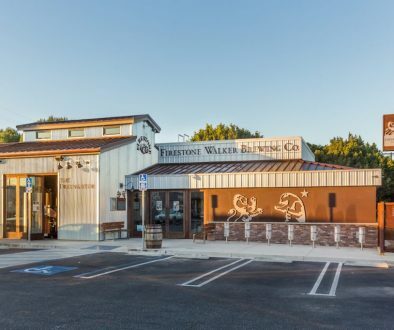 Firestone has created something crisp and clean that certainly ticks all of the major boxes for the hazy IPA style. However, it doesn’t exactly capture some of the aesthetic we love in the genre such as wild, over-the-top ripe fruit aroma and a milkshake-like, soupy mouthfeel. That’s fine with me, though, as Mind Haze positions itself as a hazy IPA that is more approachable than the competition and far more refreshing. I crushed this in record time and will be making a run for more tomorrow. Of all the widely available hazy IPAs there, Mind Haze may be my favorite. But it also snubs the style in several ways, reenvisioning it for the better in my opinion.